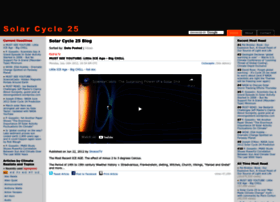 The importance of Solar Cycle 25. Why the next Dalton Minimum could be sooner than you think. Another climate change is on the way, learn to adapt, get ready for Global Cooling not Warming.